Many business people are familiar with the advantages of EPOS systems – electronic point of sale systems. EPOS systems can transform the way a particular business is run. While you may be aware of this type of system, you may not know just how many benefits it can offer you. With this in mind, let’s delve into some of the biggest and best advantages of using these systems to help your business go from good to better. What’s selling – and what isn’t? Every business wants to provide a wide range of bestselling lines to its customers. It’s no good choosing products that don’t sell, or at least sell very slowly. The more bestsellers you can find, the more money your business will make. An EPOS system can help you find out exactly which lines move and which ones don’t. This will enable you to get rid of the slow movers – perhaps by selling off the products on auction sites or simply by slashing the prices. You can also identify the lines that are constant bestsellers for your business. This will help you ensure you never run out of those items of stock. It may also enable you to identify the most popular types of products, so you can source other potential bestsellers as well. 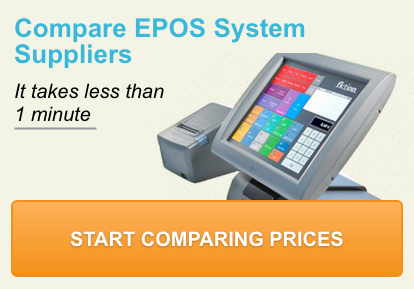 While all EPOS systems are essentially the same, they vary in very distinct ways between businesses. It’s like looking at accounting packages. They all help you keep track of your accounts, but they can be personalised in order to appeal to your particular type and size of business. EPOS systems work in the same way. You can add other modules to the basic product so as to cut down on the time spent performing certain tasks. There are several ways in which this can be done, depending on the specific business. Customers like to be served quickly and without hassle – and it could make all the difference between them visiting your business or not coming back again. Providing each customer with a 100% accurate bill for your services or products is easier to do when you have an EPOS system. Once the system is set up, all your items will be stored in there for you to select. This also means there are less likely to be mistakes made on the checkout or by the servers. There are lots of ways in which EPOS systems can be incorporated into a business. A bar can have a touch screen terminal that displays all the drinks and snacks a customer can order. This makes the payment process very easy and allows you to choose the system that works best for you. Options include hand held terminals (ideal for servers in a restaurant), so you can see there are mobile solutions as well as fixed ones. Of course, every business has a back office of some kind. This is where you will order stock, process orders and keep an eye on your profit margins, to name just a few of the essential tasks this involves. EPOS can provide you with all this information and more. The system can be linked with various other systems you use in your business, making it easier to achieve more in less time and to understand your business in more detail. Linking EPOS with one or more computers can be done quite easily, depending on your requirements and the information you wish to make use of. Of course you have to make the most of the information – it won’t improve your business on its own. However, with the right system in place it becomes easier to understand exactly how your business operates. You’ll see how best to maximise sales and reduce wastage in all areas of your business. You can find out which staff members are selling the most and when your business has its peak times. This will enable you to manage your employees more effectively too. There are many other advantages to EPOS systems, but this gives you an insight into what is possible.